MicroSD – What Are They? What Should You Know? Memory modules have come a very long way, from a big SD card fitting just 32MB to now 128GB in that same form factor, the number of players or manufacturer’s per say has also increased. 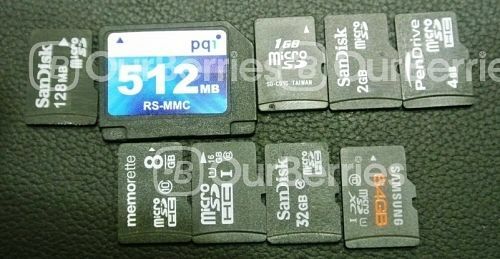 Today’s modern cards range from 8GB to 128GB, with most concentrating between 16GB and 64GB, they are without any doubt, useful to expand our device memory, in ways our other fruit device (Apple) is unable to. Not forgetting the fact that we can use it alongside with an adapter (in some newer models, you can even use microSD!) in a DSLR/camera and other media devices, the cards can play a pivotal role in the sharing of media. That said, not all cards are made equal, neither do they perform equally, so let us take a closer look at them. This was the term used to first define the card. They are used on cards up to 2GB. These cards typically do not have any speed rating. This was the second generation of cards, and the HC basically means High Capacity. Starting with these generation, class was assigned to it to determine its minimum performance, and even later, it even had a Ultra High Speed (UHS) in the third generation. SDHC is used to define cards between 4GB and 32GB. This is the third, and fourth evolution of the microSD cards. Still looking identical to the predecessors, it brought with it the UHS and cards with capacity of 64GB and above (until now, its limited to 128GB). In the fourth generation, defined in recent months, it introduced UHS-II which brought some new changes to the cards physically to increase the speed. Most commonly found on lower end cards for SDHC is the class 4 whilst many newer cards now feature class 10. SDXC cards are mostly (98%) class 10. How to see the speed class of the card? In revision 3, the UHS was introduced, to bring about faster speeds in the memory cards. This is the most common, prevalent rating found on most modern cards that are rated Class 10 because it also has a minimum performance requirement of 10MB/s. This is mainly used for Real-time broadcasts and large HD video files (UHS bus). This was also pretty recent, with the first iterations coming out in recent weeks. With a performance requirement of 30MB/s, it is rated for 4K video files (UHS bus). There have been only implementations on the larger SD cards, until 16 April, when Toshiba released the worlds first UHS-II cards. Boasting speeds of up to 312MB/s, but minimum is still the 30MB/s since we can’t test it just yet. Also, it requires the hardware to support the new interface to support the higher speeds. This is implemented in revision 4. In most memory cards, manufacturers will be using the cheapest available TLC nand’s available for manufacturing, and some instances, MLC is utilized, but for the higher end cards only. SLC, however, have not been able to make it out to consumer grade cards, and have been typically reserved for industrial applications considering its high costs. In short, the lower the density, the better it is, however, it is impossible to differentiate a MLC, TLC or SLC cards from its look or testing unless it is specifically marketed or mentioned by the manufacturer. Now, that is about the terminology you need to know, so let us see the benchmarking of the microSD’s, which are coming up next! MicroSD Round Up - Reviews and Giveaways!